First of all, I must say, Happy Halloween everybody! 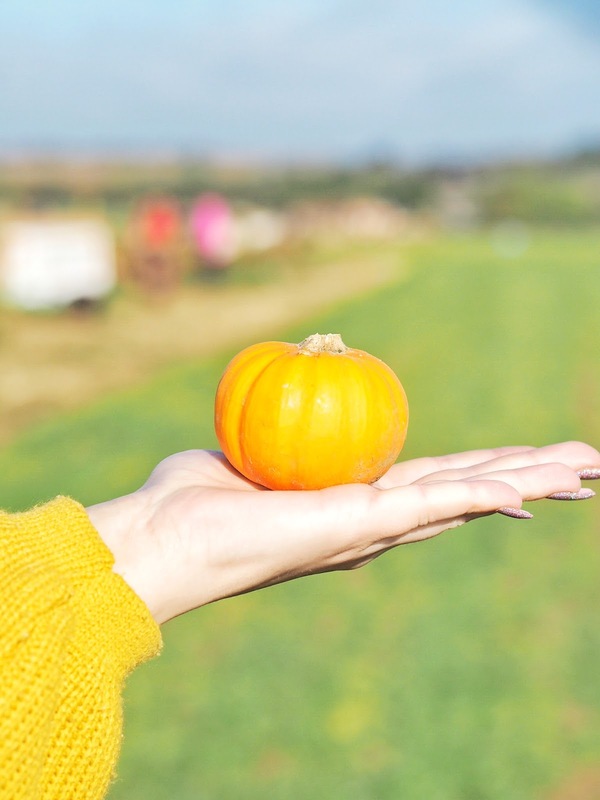 It feels slightly surreal writing this blog post, knowing that only a year ago I wrote a very similar one in the same pumpkin patch, but now my life has changed so drastically. 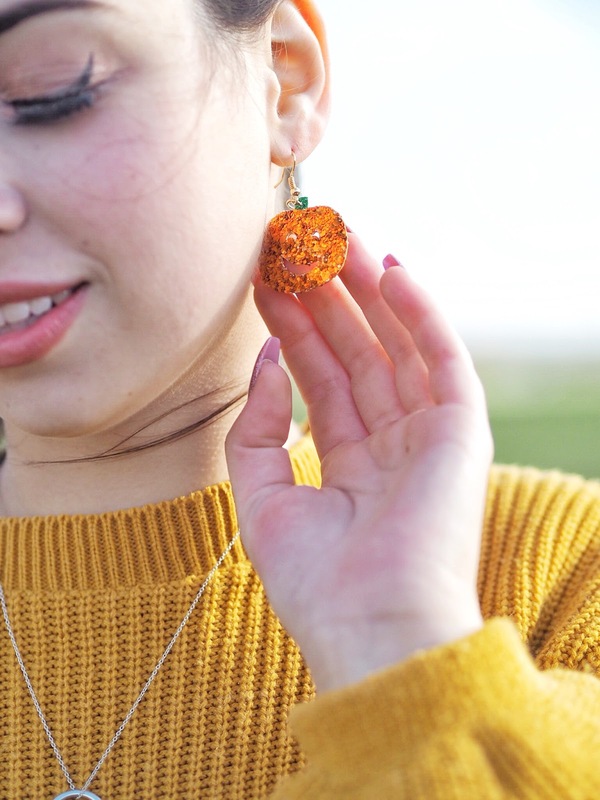 A few weekends ago we took a little trip to a nearby pumpkin patch to take part in my favourite annual Autumn activity and spend way too much money on adorable gourds. 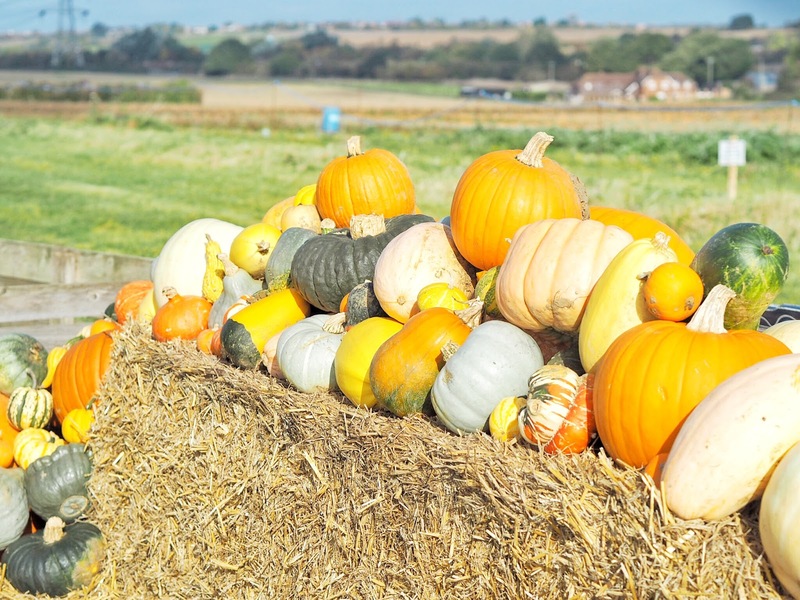 As soon as my boyfriend told me that a) he's never been pumpkin picking and b) has never even carved a pumpkin, I knew I had to drag him along. 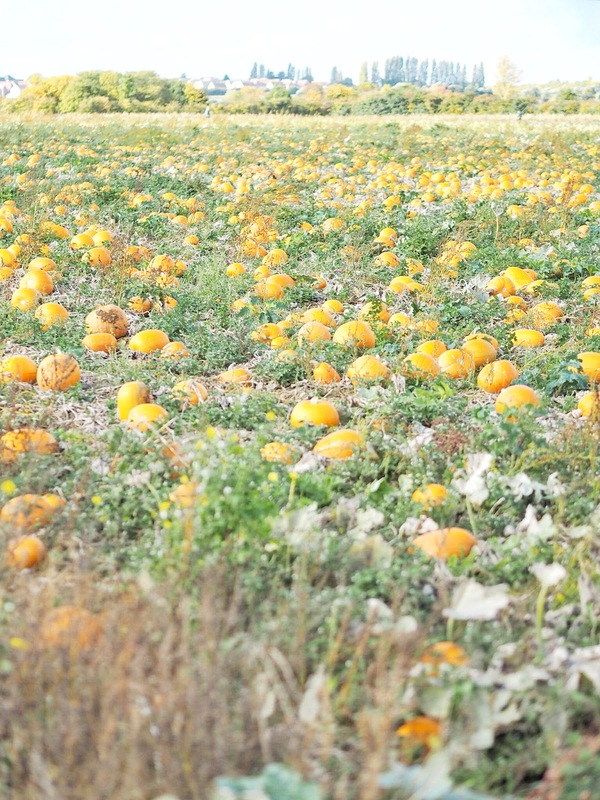 We visited PYO Pumpkins in Hoo, which is a pretty nifty if not very bustling patch near to where I live. 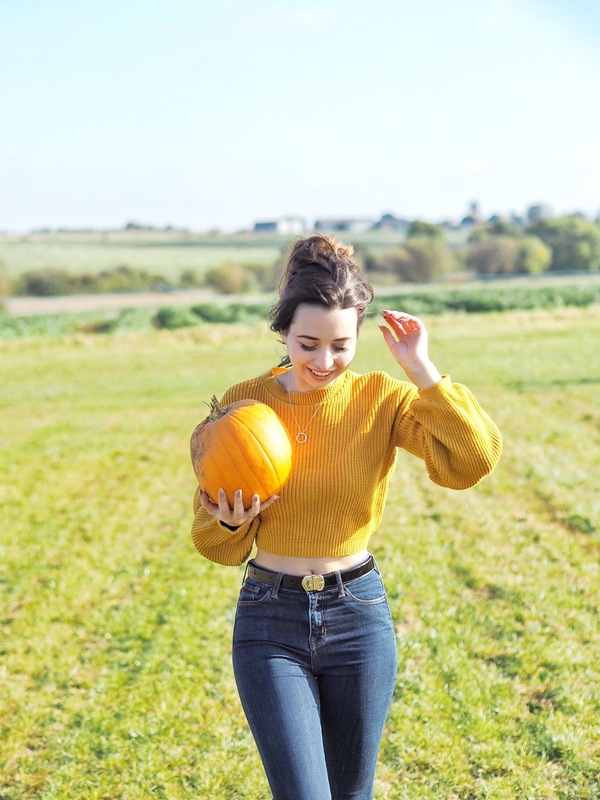 I decided to dress myself accordingly, aka as an actual pumpkin, in a very cosy mustard jumper that I have been loving a little bit too much recently. 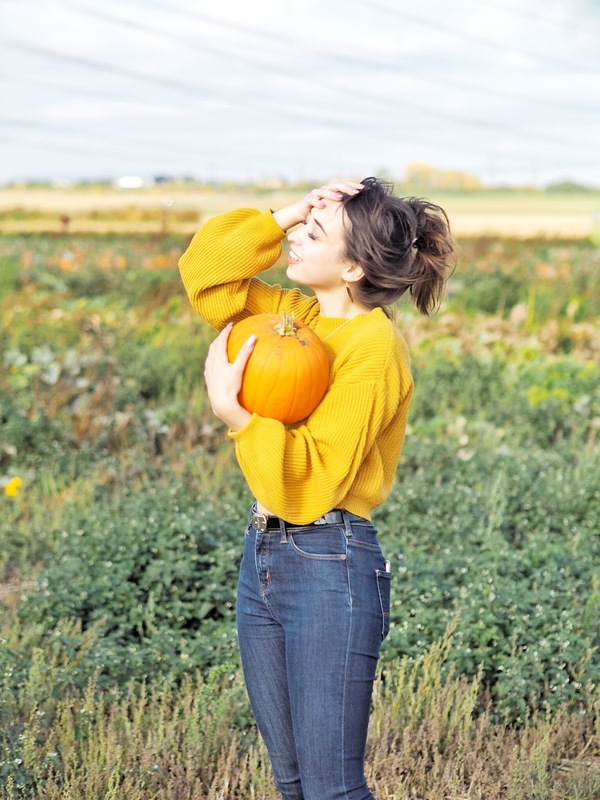 My boyfriend and I trekked around the farm, hunting down the two best looking pumpkins for us to carve and being a little bit silly in wheelbarrows. 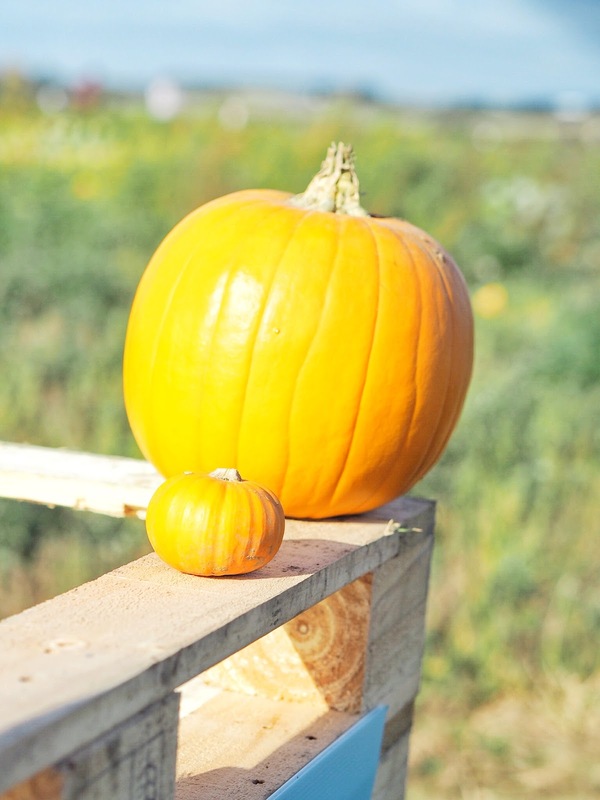 Luckily, we were successful in our mission and as I write this post I am looking at our completed pumpkin carvings (I did Jack Skellington and Tom did Mike Wasowski) with their eyes flickering from their candlelight. 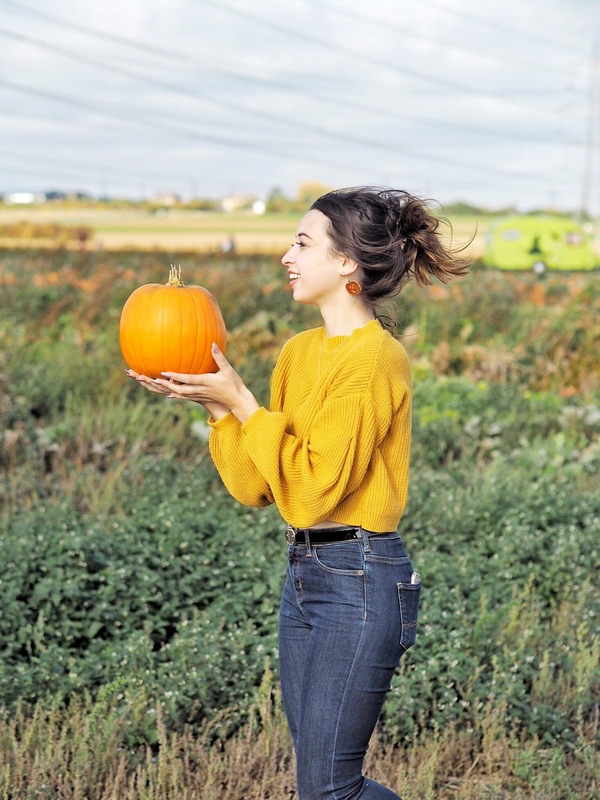 I always recommend pumpkin picking as an autumn activity, it really never gets old and it's also great for getting more into the autumnal spirit when you, like me, pretty much loathe autumn and winter.